There are many different car transport services to choose from, so how do you find a discount auto transport service that will provide you a great quality service? When you first investigate car transport, you will find that the cheapest option is a multi-vehicle open shipping trailer. This shipping option means that your vehicle is shipped along with seven or nine other cars, reducing the overall cost to ship a car thanks to the volume of cars shipped compared to enclosed transport. 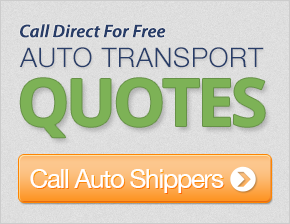 Some car shipping companies may still offer terminal-to-terminal transport. Don't expect that service to save you money versus using door-to-door shipping. Less scrupulous companies may charge you a parking fee while your vehicle sits in a terminal awaiting pick-up or delivery. Door-to-door transport is the industry standard now, and the ease of this service makes it well worth the cost. Most auto transport companies will provide you with a collection window for shipment of your car. Usually, you will find that a longer window will lead to a lower auto transport cost, while an expedited service may require you to pay a larger vehicle shipping fee. If you simply must ship a car for as little as possible, some companies may provide the option to have a driver transport your vehicle to its destination. Keep in mind, these drivers are rarely professionals. They are much more likely to be college students using your vehicle as a free taxi service. This method also adds to the wear and tear of your car or truck, especially versus auto transport in an enclosed trailer. The most important thing to ensure for auto transport is that your quote includes the necessary insurance to provide adequate protection for your vehicle during the vehicle shipping process. Shop around with different auto transport companies and you will be able to find discount auto transport services that fit almost any budget.